When we designed the Ellipse Dining Table, we were particularly mindful of the need to do more with less. The result? 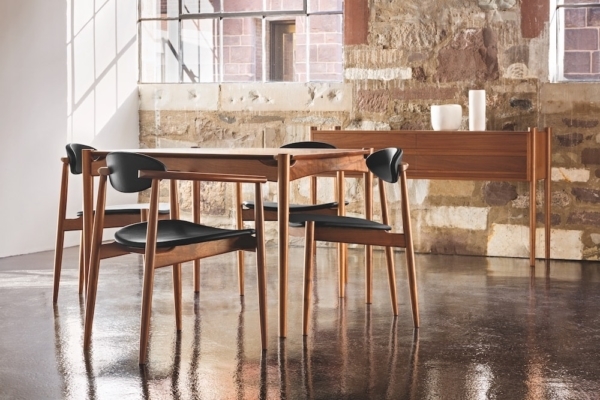 A table with tapered legs that finish in multi-dimensional detail. As a component of our Ellipse Collection, the Ellipse Dining Table echoes the post-WWII movement toward economy, making use of the fewest possible resources to create something functional, lasting and beautiful in its simplicity. 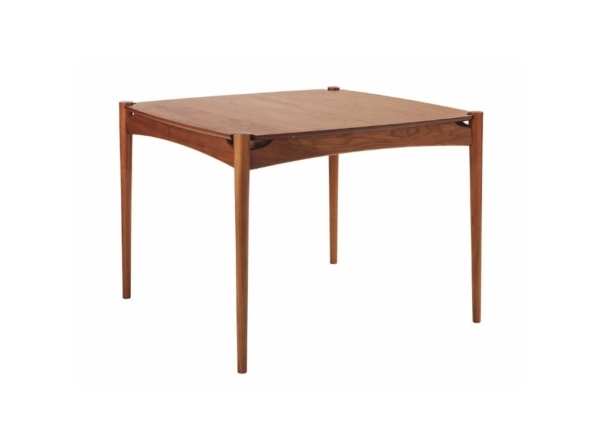 With four tapered, turned legs secured by visible mortise-and-tenon joinery, the table offers strength without mass while opening clear sight lines and providing ample leg room. The Ellipse Dining Table demonstrates the power of the elemental. The table uses an essence-only selection of hand-finished hardwoods – typically cherry or walnut – rising from the floor on four tapered legs that form visual boundaries as they join the tabletop. Secured via mortise-and-tenon joints to the table’s supporting skirt, the structure demonstrates the strength of wise restraint. Like its supporting legs and skirt, the tabletop is simple, utilitarian, and beautifully finished. The wide, uninterrupted plain showcases the natural beauty of the wood’s dense grain structure, while its finish protects it from the rigors of everyday use. The Ellipse Dining Table’s simplicity affords it a limitless versatility. While easily paired with Ellipse Dining Chairs to form a unified design theme, the table works well with both modern and traditional seating and side furniture. Available in both rectangular and square configurations, the Ellipse Dining Table is well suited to dining areas of any size and shape.